Way #8: Learn to savor ordinary, but pleasurable moments throughout your day. We reside in a fast paced world. Most of us have almost every hour accounted for due to some sort of daily schedule. We do what is necessary to make money, take care of our families, and inch closer to our long-term goals. We are busy people. However, adhering to this way of life is bound to become monotonous. You might even have days that feel exactly like the day before; a groundhog’s day realization. Do you feel stuck sometimes? Is it a heavy thought that this is the rest of your life? It doesn’t have to be this way! There is actually a simple fix to this mundane way of existing. When you get into a routine, especially one that has been the same for a long period of time, it is easy to overlook the small pleasures of your day to day life. However, it is the simple things that are capable of delivering great joy; we just have to remember to recognize and embrace them. Hana Matt rightfully states that, “the ability to relish the ordinary experiences of your life is one of the most important creators of happiness.” Whether it is taking notice of the stillness in the air during your morning walk with your dog, singing in your car on the way to work to uplift your spirit, savoring that afternoon dirty chai latte, listening to the birds congregating in the trees at dusk, or feeling the tiny bubbles pop around you during an evening bath-these are the little things worth savoring. You might be surprised, once you start paying attention, how many of these types of moments are occurring throughout your day. You will eventually become tuned in to all the small pleasures that surround you, and as a result will feel more joyous. This is a call to slow down and look around. 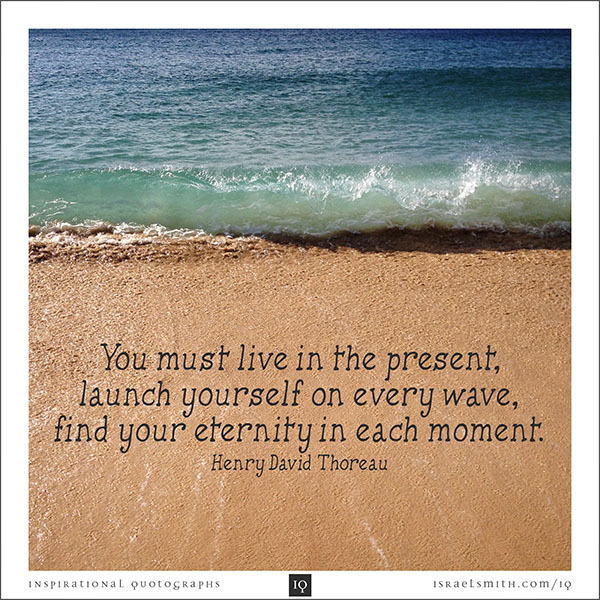 There is no moment like the present moment.